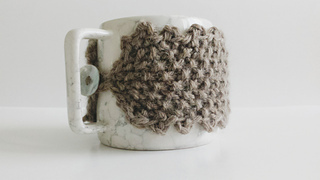 This mug cover is a textured piece. 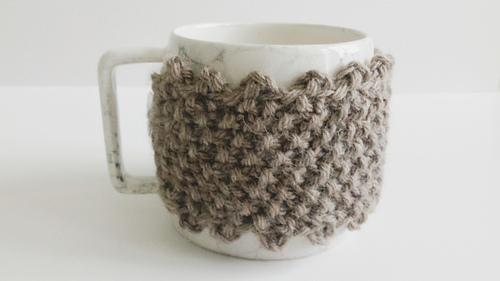 Knitted in a seed stitch and a picot stitch for edging. 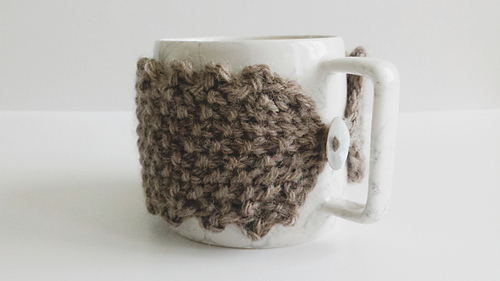 Very easy and nice project for your mug or cup!